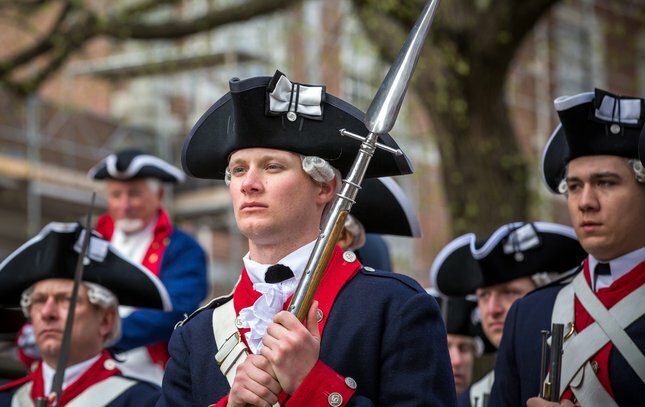 U.S. Army 3rd Infantry soldiers, (The Old Guard), stand in formation on Chestnut Street near Independence Hall before proceeding to the Museum of the American Revolution. 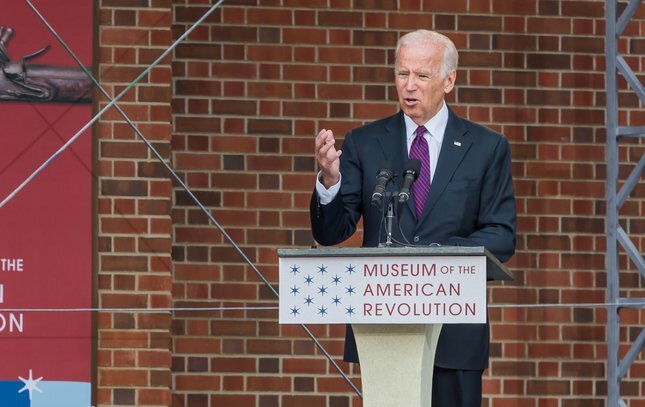 Former Vice President of the United States, Joe Biden, was the keynote speaker for the official opening of the Museum of the American Revolution, Wednesday, April 19, 2017. 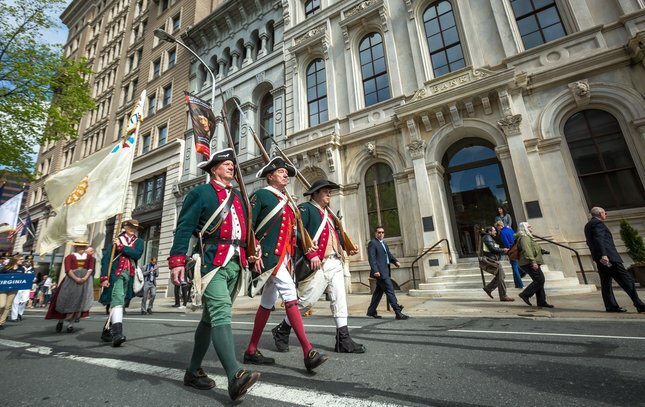 Revolutionary War reinactors march along Chestnut Street before the official opening of the Museum of the American Revolution, Wednesday, April 19, 2017. 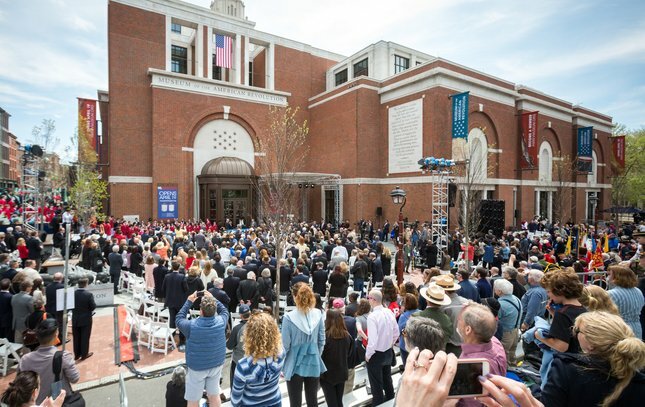 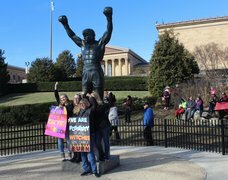 Hundreds were in attendance, Wedneaday, April 19, 2017, for the opening of the Museum of the American Revolution. 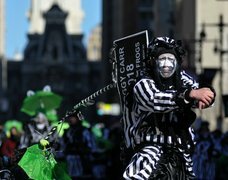 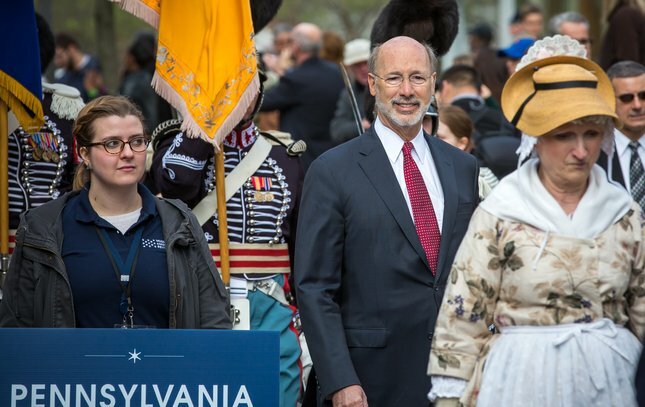 Pennsylvania Governor, Tom Wolf walks along Chestnut Street, Wednesday, April 19, 2017, as part of the official opening ceremony of the Museum of the American Revolution. 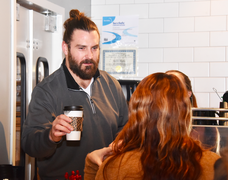 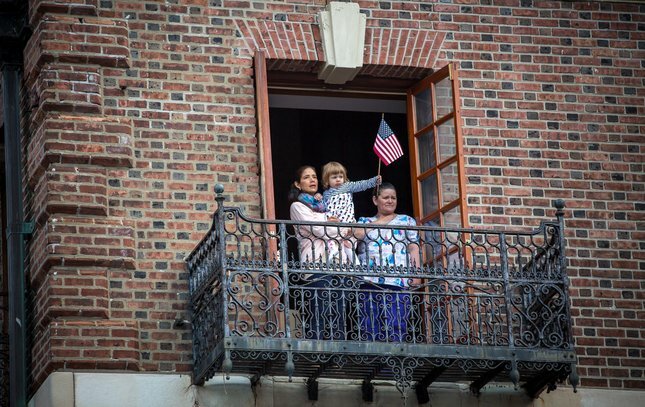 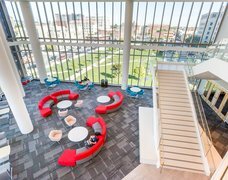 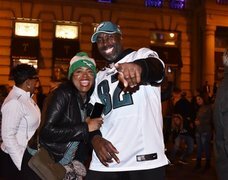 A balcony above the Little Lion restaurant drew a small crowd as the Curtis Institute of Music's James McCorkle sang the Star Spangled Banner, beginning the official opening ceremony. 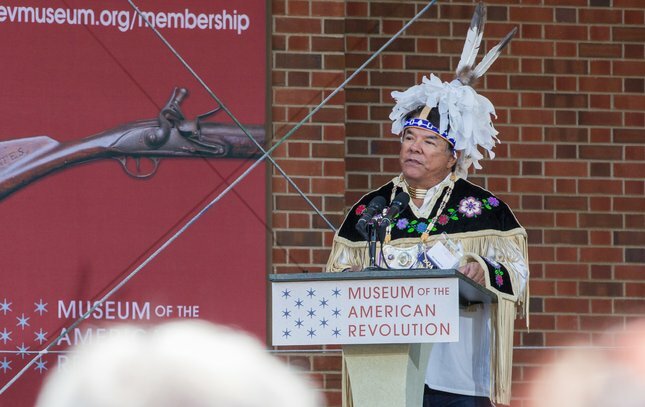 Ray Halbritter, Oneida Nation Representative, Nation Enterprises CEO, and board member of the Museum of the American Revolution, spoke at the opening ceremony, Wednesday, April 19, 2017. 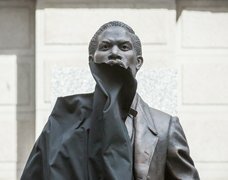 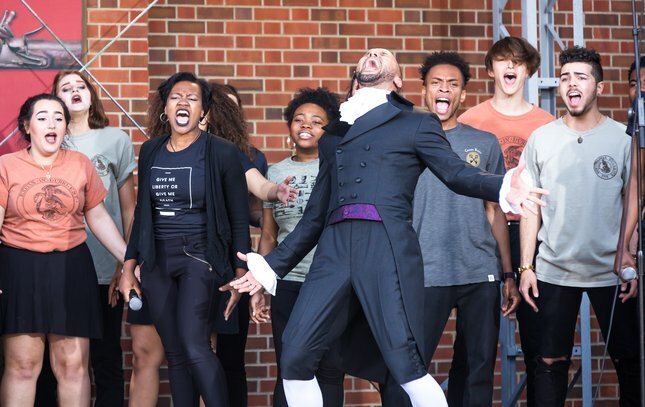 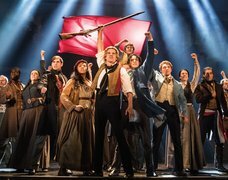 Sydney James Harcourt, from the original cast of Broadway's Hamilton, was accompanied by students from the Philadelphia High School for the Creative and Performing Arts, in singing of two Hamilton songs during the official opening of the Museum of the American Revolution, Wednesday, April 19, 2017.